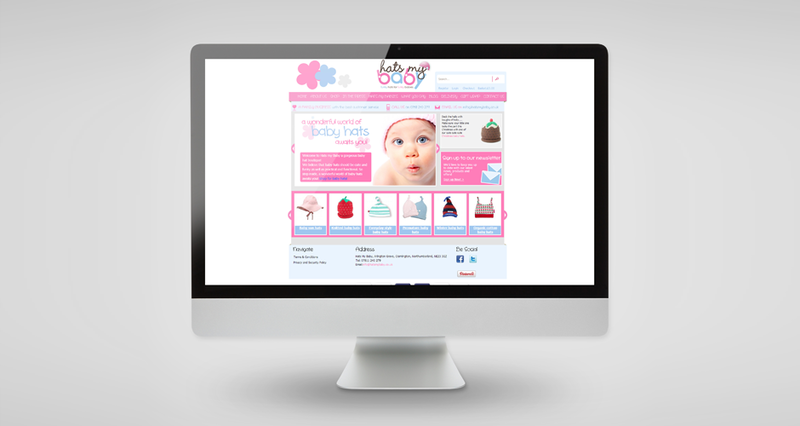 As a growing, local company we were pleased to produce an ecommerce site for Hats My Baby. Once upon a time there lived a Mummy and Daddy to be who were brand new to parenthood. In April 2009 they had a beautiful baby girl, Little Legs and they soon realised that baby hats were the must have accessory for any hip and funky little baby. Not only do hats look super cool but they also protect little heads from the sun and the rain, the hot and the cold, the wind and the snow.